Loose-leaf Links is a feature where I gather together the interesting bits and pieces on sci-fi and fantasy I’ve come across and share them with you over tea. Today’s tea is Ritz Carlton from the Tea Centre. 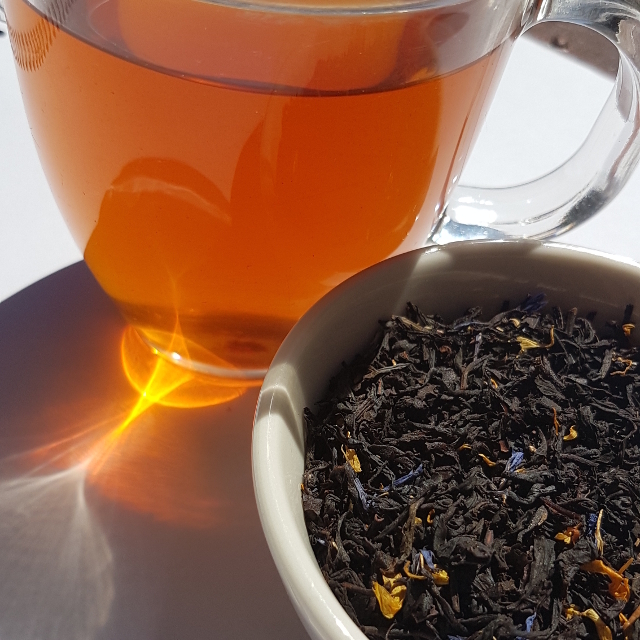 It’s a black tea flavoured with caramel, vanilla and apricot, sweet without being overpowering. Awards season is in full swing. As previously mentioned, the shortlists for the 2016 Aurealis Awards have been announced, along with the nominees for the Convenors’ Award for Excellence. Shortlists have also been announced for the 2016 BSFA Awards and the Nebulas (and related awards). Don’t forget to vote if you’re eligible. To assist with the latter, Bogi Takacs has compiled a list of Nebula nominees that are free to read online. The Arthur C. Clarke Award have released their full list of submissions for 2016. The Ditmars, Australia’s popularly voted SFF awards, are also open for nomination. Votes close on 20 March. If you’d like to consider me for Best Fan Writer, I’d be delighted. The Salam Award has been created to promote science fiction writing in Pakistan and is currently open for submission. Nominations are currently open for the National Australian Fan Fund. NAFF will send one Australian fan to Natcon, which this year will be Continuum 13 held in Melbourne in June. Nominations close 1 March. Conflux has announced its first Guest of Honour is Angela Slatter. Conflux 13 will take place in Canberra from 29 September until 2 October. Apex Magazine recently hosted a roundtable on intersectional SFF with the editors of the forthcoming Problem Daughters anthology. The post was taken down after Problem Daughters cover artist M Sereno (Likhain) objected to the inclusion of Benjanun Sriduangkaew, who has previously been infamous for abusing fellow women of colour. Apex has issued an apology. Those looking for further context on the issue should check out Zen Cho’s post on the topic. The Problem Daughters editors have since announced the dissolution of the project, citing ideological differences among the editorial team. Justina Ireland explains why it’s problematic that the first YA cover featuring a black girl in a ballgown is going to a white author. In case you need it explained. In addition to hosting a readalong of Defying Doomsday, Intisar Khanani has been hosting a series of guest posts on disability in fiction that’s well worth checking out. In the wake of Valentine’s Day and as part of AroSpec Awareness Week, Ben Babcock discusses the value of looking beyond romance. Lightspeed Magazine will be open for fantasy submissions throughout the month of April. Word count 1.5-10K. Jim C. Hines conducted an informal survey of novelists regarding their 2016 income and has written a series of posts discussing the results. Over at Tor.com, Lish McBride discusses how authors can manage publicity events when there’s little or no audience. Dave Versace comments on the difficulty of writing when the world’s on fire and has a nice collection of links to other writers on the topic. As mentioned above, AroSpec Awareness Week is winding to a close. If you’re looking for SFF featuring characters who are aromantic or asexual, try this database. Katharine of Ventureadlaxre and Tsana of Tsana Reads and Reviews are joining forces to start a new reading challenge. Beginning this month, they’ll be working their way through the Vorkosigan Saga by Lois McMaster Bujold. I’m sorely tempted to join in. Ahead of the release of her debut novel, Cat Sparks discusses how speculative fiction plays a crucial role in dealing with climate change. And to finish on the perfect note, Ann Leckie offers some tips on brewing tea. Because of course. I really want to read the Vorkosigan Saga. I am going to go peek at the reading challenge. I have only read the first couple. I’ve heard it’s good, though I haven’t read any of the series. I’ve been tempted to join in but my library doesn’t have the whole thing and there’s my book budget to consider.